Never Enough? 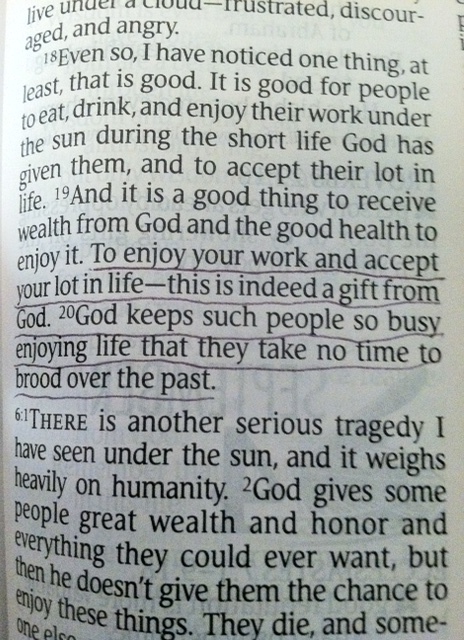 Or Busy Enjoying Life? 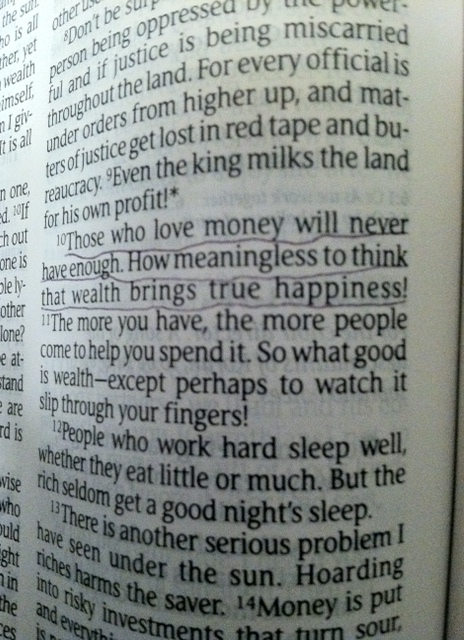 Money sure LOOKS like it would bring us happiness, right? We know we see rich people who aren’t happy but we wouldn’t be like that. If we just had a little chunk more we would be happy. But that’s what we said before we got that last raise or the last new job with a higher salary. We just needed a little more. We had more month than paycheck. So – what happened? We got a little more, so are we content now? For most of us, the raise is quickly absorbed and easily forgotten while the quest for more money continues. And King Solomon calls this meaningless. That’s a good word for it. Busy enjoying life – like it! Thank you, dear Father, for Solomon’s wise words for us today.